Why incorporate in the Cayman Islands? The Cayman Islands consists of a group of three islands in the Caribbean: Little Cayman, Cayman Brac and Grand Cayman. 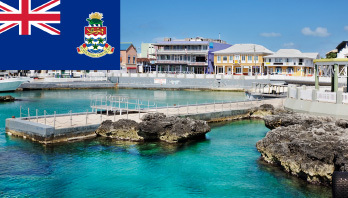 The main Island, Grand Cayman, is situated approximately 480 miles southeast of Miami. Miami is one hour away by air and the Island has direct air links with New York, Atlanta, Tampa, Houston and Jamaica. The Islands are a popular cruise-ship stop. The Cayman Islands exempted company is the corporate vehicle of choice among international investment fund managers and investors. The popularity of the exempted company is principally as a result of the Cayman Islands being rightly recognized as a stable jurisdiction for structuring international investments. Select the office to which you would like to direct your enquiry...	Hong Kong	Mauritius	United Kingdom	Australia	Brunei	Cyprus	Luxembourg	Madeira	Malta	Samoa	Seychelles	Shanghai	Singapore	Switzerland	United Arab Emirates	I am not sure which office to direct my enquiry to. Please advise.